As thoroughly explained above, President François Hollande was the most unpopular president in the history of the Fifth Republic. No other French president was so unpopular at the end of their first term in office, although two went on to lose reelection to a second term (1981 and 2012). Because a one-term incumbent president foregoing reelection to a second term was unprecedented in the history of the Fifth Republic, most assumed that Hollande would end up seeking reelection, however suicidal such a move might have seemed. Nevertheless, Hollande himself had dropped hints that it was possible for him not to seek reelection – like in 2014 when he said that he would have no reason to run in 2017 if unemployment didn’t drop. Hollande waited on the results of the LR primary to make his decision: rumours had it that Hollande felt that he had a chance if Sarkozy was the LR candidate (because of Sarkozy’s baggage and unpopularity) and was ready to run. There are indications that Hollande was confident of his chances against Fillon after he won the LR primary. Hollande was polling about 9-10% in the fall of 2016, falling to 7-7.5% in two polls released in late November 2016. He did not perform any better against Sarkozy than Juppé. Limited polling for a PS primary showed Hollande leading, but with unimpressive and mediocre margins over his internal rivals. Another question concerned the organization of an open primary, as in 2011. The 2011 open primary had been a success for the PS, giving it a spurt of momentum for the 2012 campaign. Organizing a new primary for 2017 became something of a requirement, although conditions were very different than in 2011: an incumbent PS president, but a very unpopular one facing substantial opposition within his own party (and even greater opposition on the left as a whole), who could therefore possibly lose his own party’s renomination. 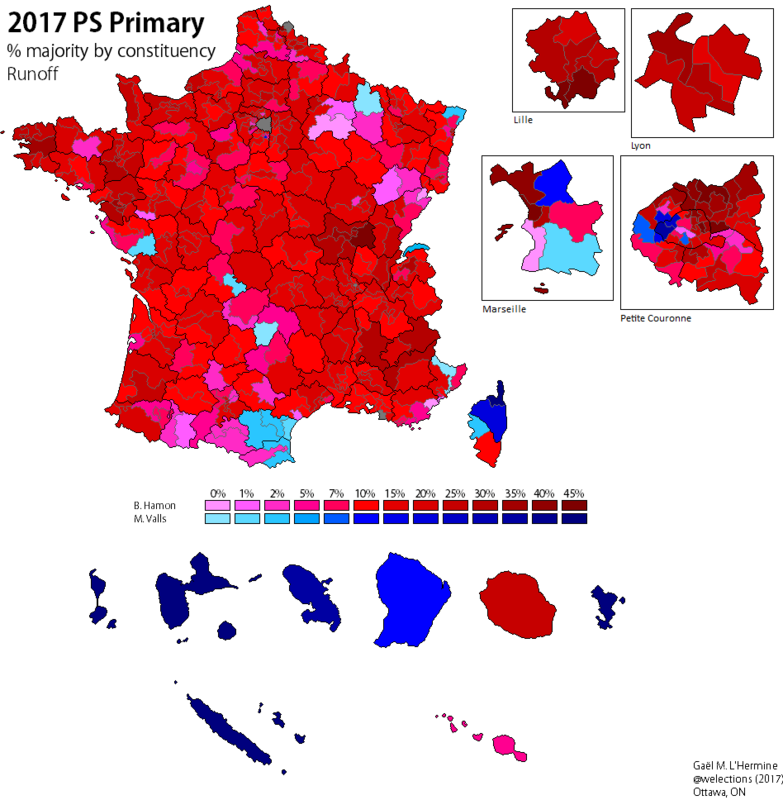 The principle of open primaries was written into the PS statutes adopted at the Toulouse Congress (2012), but the PS then dithered for six months in 2016 over whether it would organize a primary. In June 2016, the PS announced the organization of open primaries in January 2017 open to a wider alliance, with the clunky name Belle Alliance populaire (lit. ‘nice/beautiful popular alliance’, BAP). Besides the PS, the other members of its so-called alliance were minor satellite parties of the PS. The most important one was, as always, the Left Radical Party or Parti radical de gauche (PRG), which has been a PS satellite party for the vast majority of its existence (it was founded in 1972 by the pro-Common Programme of the left faction of the old Radical Party). The PRG is a parti de notables (cadre party), which ran a presidential candidate of its own on only two occasions (1981: Michel Crépeau with 2.1% and 2002: Christiane Taubira with 2.3%). Since the 1970s, the PRG has mastered the art of threatening (blackmailing?) the PS into getting what it wants – elected officials, cabinet portfolios – and the PS has usually gone along, since the costs of doing so aren’t very high and the benefits are higher. Granted, the PRG is strong enough, with sufficient local bases which could theoretically survive without the PS’ goodwill, that they retain some sort of relevance and, at the local level, it does go alone without the PS more often. In this regard, the PRG was well served by the Hollande era: in 2012 it got enough seats in the National Assembly (12) to form its own group with a few other deputies, and it got several cabinet portfolios (including: Sylvia Pinel as housing minister, 2014-2016 and Jean-Michel Baylet as regional development and local governments minister, 2016-2017). The other component of the ‘BAP’ was the Union of Democrats and Ecologists (Union des démocrates et des écologistes, UDE), itself a confederation of parties. We’ll get to those non-existent jokers in a bit. Three frondeurs had announced their candidacies in the PS primary before Hollande even announced his own intentions: former cabinet ministers Arnaud Montebourg (in May 2016) and Benoît Hamon (in August 2016), and senator Marie-Noëlle Lienemann (later withdrew). Prime Minister Manuel Valls was the subject of intense media speculation. Relations between Hollande and Valls worsened in 2016, Valls (who wanted to be president) likely increasingly impatient with his ‘boss’ over his indecision over 2017. Tensions between the two reached breaking point in late November, with rumours that Valls was ready to announce that he would run in the primaries regardless of Hollande’s decision, that is he would run even if Hollande ran. Most had expected Valls to run if Hollande did not, not to run even if his ‘boss’ did. Hollande finally announced on December 1 that he would not seek reelection. Although his decision was understandable and perhaps even self-evident, it was still somewhat unexpected because no other president had foregone reelection. Many people believe that Valls, in the days before Hollande’s public announcement, had ‘stabbed him in the back’ – setting an ultimatum and/or making it clear that he would run against him (Hollande). Given Hollande’s general demeanor towards Valls and the eventual outcome of the PS primary, this version – ‘the betrayal’ – seems rather credible. Manuel Valls announced that he would resign the prime ministership and seek the party’s presidential nomination on December 5 – a pretty quick turnover. The French Greens are complicated – like everything else in French politics, mind you. The French Greens like to be compared to their green colleagues in Germany, but they have rarely ever been as strong and potent a political force as the German Grünen have since the 1980s. The first complication is France’s electoral and political system. The presidential election is the most important election in French politics. Presidential elections favour parties or alliances with strong, captivating and engaging personal leaders (which the Greens have often lacked) and tended to enforce a consolidation around large political families (left, right and now far-right) with the centre or parties like the greens struggling to find their way in this system. The electoral system used for legislative elections – i.e. no PR, two-rounds in single-member constituencies – has pushed towards the polarization of French politics around these same large political families, requiring small parties like the greens to ally with a larger party in one of these families to obtain seats. Parties lacking all-important alliances with a larger party find themselves in runoffs (assuming they even reach them) without potential ‘vote reserves’ or allies, regardless of their national strength in the popular vote. The history of French legislative elections since 1958 is replete with examples of parties, despite substantial national strength, getting nearly shut-out of the National Assembly because of their independence: the PCF in 1958, the FN in every election since 1988, the Greens in 1993 and Bayrou’s MoDem in 2007. The second difficulty is a long history of internal rivalries, psychodramas and conflicts which have repeatedly weakened green unity. The Greens, at the time seeking to be independent of left and right, began doing well in 1989 (10.6% in the EP election that year) and again in the 1992 regional elections (nearly 15% split equally between two parties). In the 1993 legislative elections, the green movement suffered both from its divisions and the electoral system and, despite winning over 10% between its different parties it ended up with no seats in the National Assembly. The ‘traumatic’ experience of 1993 convinced a large part of the Greens – though not all – of the necessity of alliances with the left if they were to ever win parliamentary representation and hold political influence (like they were beginning to elsewhere in Europe). After 1993, the new majorities within the Greens favoured alliances with the PS and other parties of the left. The 1997 legislative elections and the victory of Lionel Jospin’s plural left (gauche plurielle) with the PS, Greens, LeftRads, PCF and Jean-Pierre Chevènement’s MDC, showed the benefits of an alliance with the left to the Greens (who won 7 seats and participated in government). Unlike the PRG, the Greens have always run their own presidential candidate, seeing presidential elections as a chance to ‘get counted’ and hold their weight against the PS big brother. The Greens (and predecessors) ran presidential candidates in every election since 1974, its best result coming in 2002 with Noël Mamère (5.3%). After a difficult period after 2002 (1.6% in the 2007 presidential election), the incredible success of the Europe Écologie lists in the 2009 EP elections – 16.3%, 0.2% behind the PS – gave renewed energy and optimism to the French greens, who believed that they had finally found the key to making their electoral breakthrough and join the ranks of Europe’s strong greens (Germany, Austria, Belgium etc.). Europe Écologie‘s success in 2009 owed to many factors, including the second-order nature (and PR electoral system) of EP elections and the weakness of the PS after the very divisive 2008 Reims Congress, but also to the Greens’ ability to expand their base and attract the support (and candidacies) of other environmentalists not tied to the party including José Bové, Eva Joly, Yannick Jadot or Jean-Paul Besset. Hoping to translate the 2009 result into a real dynamic, the Greens were recreated as Europe Écologie Les Verts (EELV) in 2010, expanding to welcome people and civil society actors who had joined with Europe Écologie in 2009. Historically, many environmentalists or progressives with green sympathies had been critical of the old Greens for their arcane internal workings, obscure internal factional conflicts and – perhaps above all – the marked tendency towards the dominance of (self-interested) career politicians within the party’s leadership, something always more difficult to accept in a movement which has idealistically seen itself as being about changing politics (and not becoming regular politicians). There were high hopes that EELV would be different and not just a ‘Greens bis’. In the 2010 regional elections, separate Greens lists in every metro region in the first round won 12.2% of the vote, less than in 2009 but a significant result nonetheless. Yet, the Greens were behind the PS in every single region and, facing the second rounds, they once again ran up against the eternal problem of alliances. The Greens withdrew and/or merged their lists in the PS’ favour in every region except Bretagne. EELV have, under certain circumstances (in local elections, like in 2011 or 2014), not withdrawn their candidates in runoffs where they are up against the PS – breaking from the left’s very old tradition of ‘republican withdrawal’ (in case of more than one left-winger qualifying for a runoff, the ones arriving second or lower withdraws in favour of the first-placed left-wing candidate). EELV was unusually giddy about the 2012 elections. They organized their own ‘semi-open primary’, which drew over 25,000 participants, in July 2011 and resulted in the surprise victory of EELV MEP Eva Joly – famous and popular for her record as a tough anti-corruption magistrate – over Nicolas Hulot, one of France’s most famous and well-liked environmentalists, former host of the popular nature TV show Ushuaïa. Unlike in 2002 and 2007, EELV signed a full electoral agreement with the PS for 2012, receiving the PS’ support in about 60 constituencies – about 20 of them winnable – by the first round. This agreement and its contents caused local frictions. Joly’s campaign soon faltered because of the candidate’s poor campaign, austere tone (perhaps reinforced by her Norwegian accent! ), certain controversial ‘radical’ proposals (too pacifists, too ‘deep green’), Joly’s very poor media image (she is not a politician, isn’t adept at the dirty tricks of campaigning and is very uncharismatic) and the usual ‘useful vote logic’ squeezing the greens. Joly won a very poor 2.3% of the vote. Nevertheless, thanks to its deal with the PS, EELV won 17 deputies – more than ever before – and formed the first green parliamentary group in the National Assembly (a green group with 10 members had been formed in the Senate in 2011). It had two members in the Ayrault government: former party leader Cécile Duflot (housing) and Pascal Canfin (junior minister for development). EELV’s performance in government was unconvincing at best. Cécile Duflot’s time as housing minister resulted in the adoption of a controversial, unpopular and ultimately ineffective law which included rent controls. The Hollande presidency’s record on the environment was, despite the self-congratulating over the COP21 and the ‘energy transition’ law of 2015 (four-fold reduction in GHG emissions by 2050, increase in renewable energy sources, reducing the weight of nuclear energy in electricity generation from 75% to 50%), unimpressive on many fronts, particularly to environmentalists. Infrastructure projects like the Notre-Dame-des-Landes airport project outside of Nantes and a hydroelectric dam projects in the Tarn created major local protests, headaches for the government and divisions within the left (on Notre-Dame-des-Landes, EELV and the radical left opposed but much of the PS and the government in favour). On other issues important to EELV sympathizers, like immigration, political reform and fiscal/economic policy, the government’s record quickly fell very far from what EELV stood for. Cécile Duflot criticized Manuel Valls, then interior minister, over his comments over the Roma or the Leonarda Dibrani affair. In April 2014, EELV announced that it would not participate in the Valls government. Major divisions grew within EELV over the attitude the party should adopt towards the government. In September 2013, EELV secretary general Pascal Durand resigned; this came days after he launched a controversial ‘ultimatum’ to the government. Around that time, Noël Mamère – a recognized historic figure of the Greens (deputy since 1997) – left the party. Daniel Cohn-Bendit, one of the ‘architects’ of the party’s 2009 success, also distanced himself from the party (and did not seek reelection to the EP in 2014). The party began splitting between a left-wing, anti-government faction which included Cécile Duflot (and up to 9 other deputies) and a ‘right-wing’ pro-government faction which included the group’s co-presidents François de Rugy and Barbara Pompili (as well as senator Jean-Vincent Placé). EELV deputies split on several important votes in the National Assembly: one voted against, 10 voted in favour and 6 abstained on the confidence vote for Valls’ first government in April 2014, one voted against and the rest abstained on the confidence vote for his second government in September 2014. In May 2015, 9 of 18 deputies signed a letter critical of the group’s (pro-government) co-presidents François de Rugy and Barbara Pompili; these same 9 deputies abstained while the rest of their colleagues voted in favour of the 2016 budget. The two major factions within the party were also divided about the electoral strategy EELV should pursue: the pro-government ‘right’ favouring a continuation of alliances with the PS, while the anti-government ‘left’ supported building new ‘red-green’ alliances with the radical/alternative left like the Communists or Jean-Luc Mélenchon’s Left Party (PG). A ‘red-green’ EELV-PG alliance won the 2014 municipal elections in Grenoble, defeating the PS, serving as a precedent for future EELV-left alliances against the PS. However, the pro-government ‘right’ was opposed to any such alliances, particularly for the 2015 regional elections and 2017. EELV began imploding in August 2015 when Jean-Vincent Placé and François de Rugy quit the party to create their own party, initially named Écologistes ! (obviously seeking the same success as Jeb!). Both criticized what de Rugy called EELV’s “leftist drift” and were followed by several other EELV deputies. Écologistes ! later formed the Union of Democrats and Ecologists (Union des démocrates et des écologistes, UDE) with the Democratic Front (Front démocrate, FD), a similarly pro-government ‘reformist’ green micro-party founded and led by former MEP Jean-Luc Bennahmias, a pro-Hollande MoDem dissident (although a Green until 2007) and joined by one dissident EELV deputy (François-Michel Lambert, Bouches-du-Rhône). Écologistes ! was renamed Le Parti écologiste (The Ecologist Party, PE) in 2016. The UDE does not exist on its own: its existence is dependent on other parties, in terms of seats and likely in terms of financing (through donations from the PS). In the 2015 regional elections, EELV – now largely ‘purged’ of its pro-government right-wing – ran autonomous lists in every metro region, allied with Mélenchon’s PG in four regions (as well as the PCF in two of those regions); the UDE ran in alliance with the PS in eight regions and ran a separate list of its own in only region (where it won 1.7%). EELV and its allies won 6.6% nationally in the first round of the regional elections, but ended up with only 64 regional councillors – down from over 200 in 2010. In February 2016, pro-government EELV dissidents joined the government on the occasion of a cabinet shuffle, a government that they had never wanted to leave in the first place. Emmanuelle Cosse, who had been national secretary of EELV up till then, became housing minister and was promptly disavowed by EELV (and excluded from the party), even though just months before she had criticized the defectors as ‘Green apparatchiks’. Jean-Vincent Placé became secretary of state for state reform – years of intense lobbying to get a cabinet gig finally paid off for him – and Barbara Pompili became secretary of state for biodiversity. In May 2016, six pro-government ex-EELV deputies joined the Socialist group, bringing the green group under the number of members required to form a group in the National Assembly (15). The remaining 10 EELV and other left-wing green deputies became non-inscrits. The rift between the pro and anti-government factions of the ‘green family’ widened: the 10 anti-government deputies signed the left-wing motion of no confidence against the El Khomri law in May 2016, and the two most radical anti-government members (Isabelle Attard, who left EELV in 2013, and Sergio Coronado) even voted in favour of the right’s motion of no confidence. 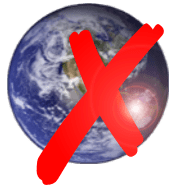 While the UDE – or, more accurately, its two components (FD and PE) acting on their own terms – joined the PS constellation as satellite parties for the purposes of the primary, EELV decided to organize its own primary to choose its candidate for the presidential election. The primary was held on October 19 and November 7. It was open to EELV members (down to only 7,000 in 2016) and ‘cooperators’ (a kind of non-member small donors and registered supporters) and any other citizen over the age of 16 on condition of pre-registering and paying a €5 contribution. 17,146 people signed up to vote in the primary, down from 32,896 in 2011. Four candidates received sufficient support to run (36 federal council members): Cécile Duflot, Yannick Jadot, Michèle Rivasi and Karima Delli. Cécile Duflot, the former national secretary of the Greens/EELV (2006-2012), former housing minister and deputy for Paris (since 2012), was widely considered the favourite by the media (and pollsters who only included her name in their polls) because of her stature and notoriety. However, Duflot (age 41) had faced criticism from EELV’s ‘core’ membership over her record in government, her inconsistencies with regards to the party’s positioning (she was in the pro-PS majority until 2014) and she carried the baggage of having been in an unpopular government (guilty by association). With the general public, at least for those who have heard of her, Duflot is unpopular (her favourable image in the Ipsos/Le Point barometre since 2014 has never been above 30%), with an annoying image as a ‘student politician’. Yannick Jadot (49) was the campaigns director for Greenpeace France (2002-2008) before being elected MEP in 2009 with Europe Écologie, reelected in 2014. In contrast to Duflot, who is a ‘political professional’, Jadot’s political career is much shorter (Duflot first ran for office, locally, in 2001) and his background is in civil society/’associative life’. Michèle Rivasi, the oldest candidate (63), also has a civil society/NGO and activist background – most notably in the anti-nuclear movement and a contentious short tenure as director of Greenpeace France (2003-2004). But she also has a long political career: she was elected deputy for the Drôme in 1997, as an independent socialist/green candidate (she only joined the Greens in 2005) and she has been an MEP since 2009, like Jadot. Rivasi has a marked activist profile: besides the nuclear issue, she has opposed pharmaceutical lobbies and worked on mercury poisoning. However, some of her activist positions have attracted criticisms from the medical and scientific community, with one French medical journal calling her the ‘queen of alter-science’ for her proximity to anti-vaccination groups and her opposition to electromagnetic hypersensitivity (which has no scientific basis). The last, least well-known candidate was Karima Delli (also the youngest at 37), an EELV MEP since 2009. Delli, who comes from a working-class Algerian immigrant family in the northern textile city of Roubaix, joined the Greens in 2005 and has been active in activist groups in parallel to her political/electoral activities. By Jadot’s own admission, the four candidates did not differ much ideologically or on policy proposals – mostly differing on the details. All four proposed firmly left-wing, progressive and environmentalist platforms all including an institutional overhaul (Sixth Republic), legalization of marijuana, universal basic income, transition to a green economy and rapidly moving towards renewable energy. Karima Delli was the most ‘left-wing’ of all the candidates, clearly opposing any alliances with the PS, a position also shared by Michèle Rivasi, who was one of the more left-wing contenders as well. Duflot was the ‘establishment’ candidate, supported by EELV national secretary David Cormand. Yannick Jadot, who like Duflot was vaguer on the subject of alliances with the PS, was described in some articles as being on the party’s ‘right’. The first round (12,582 voters) saw the surprise and unexpected elimination of Cécile Duflot, the supposed favourite, who finished third with 24.41% against 30.16% for Rivasi and 35.61% for Jadot. Karima Delli placed last with only 9.82%. In a primary dominated by the ‘core’ partisan left-wing environmentalist base of EELV, Duflot was punished for her association with an unpopular government and for being a ‘career politician’, which is something green sympathizers have always tended to frown upon. Although seen as the favourite because of her higher name recognition and her background, green voters in their internal primaries – which have been held regularly for each election since the party’s creation in 1984 – have often preferred others over the ‘media favourites’ or candidates with the highest notoriety. This has already been the case in 2011 when Nicolas Hulot was seen as the favourite because of his popularity and media-savvy image, but he was unexpectedly rejected by the primary electorate. Delli endorsed Jadot for the runoff, and while Duflot didn’t endorse anyone, many of her supporters went to Jadot as well. Jadot won the runoff against Rivasi with 54.25% of the vote. 13,940 voters participated in the runoff. In 2011, EELV – still carried by the last ripples of the 2009-2010 green wave – optimistically entered the general election campaign, polling 6-8% in July-September 2011. In 2016, EELV was fatalistic and pessimistic. Duflot had been polling only 1-3% in the previous months, and Jadot polled only 1-2% after October 2016 (except for a very brief 3-4% in a poll right after the EELV primary). Jadot set low expectations for himself, with the optimistic goal being to reach the 5% threshold (only broken once, in 2002) – whereas in 2011, the optimistic goal would have been to double Mamère’s 2002 result! The BAP primary was held on January 22 and 29, 2017. The BAP included the PS, PRG and the UDE’s two component parties (PE and FD). Like in 2011 and like with the right’s successful 2016 primary, the BAP primary was open to all registered voters on the condition of a ‘commitment to the values of the left and the ecologists’ and the payment of a symbolic €1 contribution per round. Candidates had 15 days to officialize their candidacies and present the required endorsements, between December 1 and December 15 – Hollande had announced his non-candidacy on December 1. The campaign began in earnest with Hollande’s announcement on December 1. There were seven candidates in the primaries: four from the PS and three from each of the other parties in the BAP. The PS candidates were former Prime Minister Manuel Valls, former industry/economy minister Arnaud Montebourg, former education minister Benoît Hamon and former education minister Vincent Peillon. The other non-PS candidates were PRG leader and former housing minister Sylvia Pinel, PE leader François de Rugy and FD leader Jean-Luc Bennahmias. Valls, Montebourg and Hamon were the three major candidates. Manuel Valls was the favourite, as the candidate of the PS establishment. In 2011, he was the maverick and iconoclast who challenged the party orthodoxy. In 2017, he was the candidate of the establishment. The change in Valls’ position in the party arithmetic in 5-6 years says a lot about the ideological evolution of the PS under François Hollande. Manuel Valls is a Spanish-born Catalan who was naturalized in 1982. Valls is a career politician, who has worked in PS politics since 1983 (as a parliamentary attaché) and won his first elected office in 1986. His career began in earnest with his election as mayor of Évry (Essonne) in 2001 and as deputy from Évry’s constituency (Essonne 1st) in 2002. Évry is a grim low-income suburban town with a large immigrant population in suburban Paris, and a PS stronghold. Valls’ record as mayor appears to be fairly positively evaluated, and it is during this period (2001-2011) that he gained national prominence, as a young ambitious nonconformist – criticizing PS apparatchiks, taking stances very much at odds with what was at the time Socialist dogma (‘unlocking’ the 35 hours workweek, ‘individual self-realization not dependency’, socialism as an outdated utopia), and painting himself up as a straight-talking ‘economic realist’ and not a demagogue. In 2011, his ‘right-wing’ stance within the party isolated him and he won only 5.6% of the vote in the primary. As interior minister (2012-2014), he was the most popular member of Ayrault’s government, a ‘firm’ and ‘republican’ politician strictly enforcing the law. He continued the right’s deportations of undocumented migrants and dismantlement of Roma squatter camps, although he also took tough stances against far-right extremist groups and crass anti-Semitic ‘comedian’ Dieudonné. In March 2014, following the left’s rout in the municipal elections, Valls was appointed prime minister – becoming associated with Hollande’s more resolute and overt ‘liberal shift’, post-2014. As prime minister, he progressively lost his previous star power in what is historically the most thankless and career-ruining job in French politics – although Valls as PM was consistently (and substantially) more popular than Hollande, because of remaining goodwill from a small slice of the centre-right (because of his ‘tough’ law and order persona, or his ‘liberal reformist’ policies) and greater backing from PS supporters. Although Valls remained in the 40% approval range for much of 2014 and 2015, his numbers collapsed throughout 2016, falling to a low of just 21% approval over the summer and leaving office with 26% approval in November. He gradually lost his young reformist ‘aura’ by becoming the face of an unpopular government (alongside Hollande), instead being increasingly seen as a political opportunist. Valls’ personal relations with Hollande deteriorated badly in 2016, with Valls probably leading the aforementioned ‘palace coup’ which forced Hollande out on December 1. He was the candidate of the party’s establishment – Le Monde counted 196 parliamentarians and ministers endorsing Valls. He was backed by the vast majority of PS ministers – outside the most anti-Valls or hollandais ministers (Jean-Marc Ayrault, Stéphane Le Foll) – including defence minister Jean-Yves Le Drian, finance minister Michel Sapin, labour minister Myriam El Khomri, education minister Najat Vallaud-Belkacem, interior minister Bruno Le Roux, justice minister Jean-Jacques Urvoas, culture minister Audrey Azoulay and secretaries of state like Jean-Marie Le Guen and Harlem Désir. Prime Minister Bernard Cazeneuve largely stayed out, but attended one of Valls’ campaign events in early January. A large majority of PS deputies and senators supported Valls, just like most of the PS deputies and senators had voted in favour of his government’s policies. Claude Bartolone, the president of the National Assembly, endorsed Valls. The ‘establishment’ of the party, which largely followed the ‘liberal shift’ of the government with some minor criticisms, remained numerically stronger than other factions within the PS. At the 2015 Poitiers Congress, incumbent first secretary Jean-Christophe Cambadélis’ motion – supported by the government, Valls, Ayrault, the party’s right and most deputies/senators – won 60% of the vote. Nièvre deputy Christian Paul’s left-wing frondeurs motion won 28.5%, while a ‘middle of the road’ motion carried by Karine Berger (and supported by some frondeurs) – trying to place itself between the party’s left and right – won 9.5%. Cambadélis was reelected as first secretary with 70.1% of the vote. However, 71,140 PS members voted in the motions vote – a very small fraction of the primary’s potential electorate. In addition, the Cambadélis establishment motion was also supported by Lille mayor Martine Aubry, who was critical of the government on some issues (like the El Khomri law), and didn’t endorse Valls and Paris mayor Anne Hidalgo, who hates Valls. Valls is a ‘reformist social democrat’ (in his own words, more or less) who pushed the PS away from its rhetorical leftism towards the sort of ‘modern’ liberal and reformist social democracy incarnated by Tony Blair or Gerhard Schröder. The vallsiste faction of the PS had also talked of turning the PS into some kind of American Democratic Party – a broad ‘alliance of progressives’ or ‘reformists’ of some kind, although that never went past the stage of political wet dreams. Valls has ‘authoritarian’ (as opposed to libertarian) stances on issues like security, immigration and law enforcement. Valls’ platform was a collection of platitudes and pretty words (‘republican values’), sometimes dropping his more ‘youthful radicalism’ (on the 35 hour workweek, wealth tax). Building on the government’s policies following the 2015 terrorist attacks in France, Valls had a firm, tough line on terrorism and security (5,000 new policemen and gendarmes, increase in defence budget, 10,000 new prison cells, 1,000 new magistrates), defending ‘republican values’ and laïcité (‘Islam rooted in the Republic’, anti-burkini, 6-month compulsory civic service for the youth). His economic platform was largely a continuation of his government’s economic policies, with a more ‘social’ packaging: a means-tested ‘decent’, not universal, income merging existing benefits, protecting public services, more doctors, tax cuts for low and middle-incomes, tax credits for startups, tax exemption for overtime hours, encouraging entrepreneurship, meritocracy. Valls defended the main economic policies of the past quinquennat: El Khomri law, CICE etc., but distanced himself from the austerity. Compared to past PS campaigns, Valls’ platform was unusually economically liberal (‘right-wing’) for a major PS presidential candidate. The French socialist left has a long history of fiery leftist rhetoric not being translated into action – there’s even a word for it, molletisme – so Valls explicitly campaigning on a ‘liberal’ platform was a first for a prominent Socialist presidential hopeful. Valls was generally pro-EU, but with electoralistic EU-critical stances where popular, on matters like Turkish membership, border controls, ‘losing our national identity’ and opposition to a ‘supra-national’ Europe. During the campaign, Valls rightly faced major criticism for opportunistically promising to get rid (later repackaged as ‘limit the use’) of article 49.3 of the constitution, after making heavy use of that mechanism while prime minister. He was the most socially conservative of the major candidates (anti-marijuana legalization, anti-surrogacy) and had the least ‘green’ profile (pro-nuclear, pro-Notre-Dame-des-Landes airport). Arnaud Montebourg is another ambitious Socialist who was on his second run for the PS presidential nomination. Montebourg has been in politics for 20 years (but joined the PS much earlier, as a student), although unlike Valls, he had a career before politics, as a fairly high-profile lawyer. He was elected deputy in the Saône-et-Loire’s sixth constituency in 1997, reelected twice in 2002 and 2007. In his first term in the National Assembly, Montebourg gained media visibility as a virulent opponent of President Chirac’s presidential immunity and his activity in parliamentary inquiries. Montebourg was one of the main leaders of the left-wing opposition within the PS at the Dijon (2003) and Le Mans (2005) congresses, a co-founder of the Nouveau parti socialiste (NPS) faction along with Vincent Peillon, Benoît Hamon, Julien Dray and Henri Emmanuelli. The NPS judged the party leadership to be insufficiently critical of globalization and the ‘liberal drift’ of the EU; it also called for democratic renewal (a Sixth Republic, one of Montebourg’s pet projects since). The NPS won 17% in 2003 and 23.6% in 2005, both times ranking as the main challenge to Hollande’s internal majority. However, Montebourg split with the NPS in 2005, refusing the ‘synthesis’ with the majority at the congress, creating his own faction but working his way into new factional majorities in the party – more intent on being an undefined ‘reformist’ than a left-wing ideologue. In 2007, he supported Ségolène Royal, but was shunned after remarking that her only flaw was her boyfriend, Hollande. In 2008, at the Reims congress, he supported Martine Aubry, the eventual winner. After having been rather low-profile during Chirac’s second term, Montebourg became one of the more active PS deputies and political figures during Sarkozy’s presidency, a constant fixture in the media with his biting criticisms and remarks directed at the government and its supporters. Montebourg ran in the 2011 primary, with his main banner being démondialisation or deglobalization. His campaign gained momentum and he won 17.2%, placing an unexpectedly strong third. He endorsed Hollande over Aubry, if only because Hollande’s victory seemed very likely and Montebourg wanted to be with the winner. After the left’s victory, he became ‘Minister of Productive Recovery’ (i.e. industry), with a bombastic title he likely concocted himself and imposed on Hollande and Ayrault. As minister, he had a tendency to take matters into his own hands and do as he pleased, even when that went against government policy, and his histrionic actions as minister amounted to nothing (imprudently floating the idea of nationalizing the ArcelorMittal steelworks in Florange, the ‘made in France’ charade and bombast over industrial production). Nevertheless, as industry minister Montebourg broke with his image as a ‘hard leftist’, supporting the Gallois report (which drew liberal conclusions about France’s economic competitiveness) and growing closer to businessmen like Martin Bouygues (CEO of the Bouygues group). Still, in 2014, Montebourg controversially attempted to block the acquisition of Alstom’s energy activities by General Electric, trying to encourage a rival bid from Siemens and supported a decree which expanded the state’s veto power on foreign investment in strategic sectors (‘economic patriotism’). Defiant of Ayrault’s weak leadership, Montebourg strategically allied with Valls and Hamon in cabinet to challenge and undermine Ayrault, and they finally got what they wanted with Ayrault’s dismissal in March 2014 and Valls’ appointment. Montebourg became minister of the economy and industry, one of the top portfolios in the new government. His dissatisfaction with the government’s economic and fiscal policies grew, and he was fired from cabinet in August 2014, after criticizing and mocking (with Hamon) the government’s economic policy at his annual summertime party (Fête de la rose in Frangy-en-Bresse). He attacked Hollande and Valls’ supply-side economic policies and ‘alignment’ with Angela Merkel. Having abandoned his parliamentary seat in 2012, Montebourg had no political office to fall back on after his eviction from cabinet, and announced his withdrawal from politics, citing Cincinnatus and talking of ‘returning to his fields and plows’. He spent a brief stint in the private sector, but most French politicians are fundamentally unfit for the private sector, so that went poorly and he returned to politics by announcing his presidential candidacy in May/August 2016, as a resolutely left-wing alternative to the government and its record, explicitly challenging Hollande and acknowledging that supporting him was a mistake. Montebourg is smug, arrogant and pretentious (even by the standards of French politics); he is extremely confident in his own intelligence, truly enjoys hearing the sound of his own voice and has a penchant for grandiloquence taken to another level. Despite going on left-wing principles, Montebourg is rather opportunistic – he notably flipped flopped on shale gas or on the cumul des mandats, breaking his own word on the latter in 2008. He was supported by a part of the frondeurs including Christian Paul, Daniel Goldberg, Emmanuel Maurel or Yann Galut and others from the PS left like Gérard Filoche. Le Monde counted that 23 deputies and senators supported him. His supporters also included his partner, former culture minister and frondeuse deputy Aurélie Filippetti. They had a daughter together in 2015 but broke up after the primary in 2017. Montebourg’s platform (summarized here) was (obviously) on the left. Montebourg’s particularity as a PS leftist is that his focus is on economic rather than social issues (in the European sense of the term): whereas much of the PS left has focused on social issues to change economic policy, Montebourg’s political thinking has typically involved changing economic policy (re-industrialization, demand-side economics, interventionism, anti-austerity) to change social policy. Montebourg’s platform promised to end ‘blind austerity’, repeal the El Khomri law, a €30 billion stimulus plan, lower the CSG (social contribution, flat-rate on salaries), regulate bosses’ salaries, ‘made in France’ as a national cause and state support for French SMEs (reserving 80% of public markets for them). Montebourg proposed to renegotiate European treaties – saying that he’d ‘go break the dishes’ in Brussels if ‘German conservatives and their allies’ blocked him, end (somehow) the posted workers directive – and also ‘review’ France’s place in NATO. He opposed the CETA and TTIP. Montebourg’s platform was fairly ‘green’, seeking to move to a ‘decarbonised society’ with a €100 billion investment plan into thermal rehabilitation of houses and a European-wide carbon tax (he also opposed, after supporting it as minister, shale gas). The ‘Sixth Republic’ has been one of Montebourg’s pet projects since the early 2000s. In his 2017 platform, this Sixth Republic would have included a non-renewable single seven-year term, a 100-member citizen Senate drawn by lots, local voting rights for foreigners, popular initiative referendums and a smaller parliament. Issues like security, terrorism and immigration did not feature as major priorities. Benoît Hamon was the ‘third man’ of the race – or, if you prefer, the François Fillon of the PS primary. Like Montebourg, with whom he has a lot in common ideologically, Hamon is on the left of the party and was a frondeur. Hamon is 49 and was born in Saint-Renan (Finistère). He too has been in politics for decades, although only recently achieving national notoriety – for most of his career, until 2012, he was more of a party apparatchik. He joined the PS in the late 1980s and began his career as a parliamentary assistant to a PS deputy in 1991. In 1993, he became leader of the party’s youth movement, which under his leadership (1993-1995) gained its autonomy from the mother party, was reorganized as the Mouvement des jeunes socialistes (Movement of Young Socialists, MJS) and greatly expanded in size. He later became an adviser to Martine Aubry while she was Lionel Jospin’s labour minister. His first elected office was as municipal councillor in the Essonne (2001-2008). He was elected to the European Parliament in 2004 from the ‘East’ Euro-constituency, but lost his seat in 2009, running in the Île-de-France Euro-constituency in third position on the PS list (which won only two seats). Hamon was a rocardien – followers of Michel Rocard – in the 1990s, like Manuel Valls. Rocard’s ‘second left’ (deuxième gauche) – as opposed to the dogmatically Marxist and Jacobin ‘first left’ – lacked the adherence to old dogmas, opposed the rigid bureaucratic structure of parties and encouraged parallel political mobilization through civic movements, trade unions and other associative groupings. Ideologically, the ‘second left’ was associated with ideas and causes like decentralization, anti-colonialism, workers’ self-management (autogestion) and participatory democracy. Today, the ‘second left’ is history and its past supporters have diverged politically: some, like Valls, took from the ‘second left’ an opposition to excessive state intervention and moved towards economic liberalism and Blairite reformist social democracy; others, like Hamon (and many Greens), took from the ‘second left’ its left-libertarianism and shifted towards a New Left-sort of green, progressive leftism. Hamon was a co-founder of the NPS in 2002. He split with Montebourg in 2005, when Montebourg refused the ‘synthesis’ at the 2005 Le Mans congress, and Hamon supported Laurent Fabius over Ségolène Royal in the 2006 PS primary. At the 2008 Reims congress, what remained of Hamon’s NPS allied with the various left-wing minority factions led by Henri Emmanuelli, Marie-Noëlle Lienemann, Gérard Filoche, Pierre Larrouturou, Jean-Luc Mélenchon and Marc Dolez to form a more or less cohesive, left-wing motion, Un monde d’avance. This motion performed surprisingly well with 18.5%, fourth in a divided field. He ran for party leader in the subsequent leadership vote, against Aubry and Royal, and finished third with 22.6%. Having endorsed Aubry in the runoff, he became party spokesperson in return. In 2012, he won a seat in the National Assembly – Yvelines’ 11th constituency – and was appointed to a secondary junior minister slot in the Ayrault cabinet (social economy). As junior minister for the social economy, Hamon notably left a new consumer protection law – the ‘Hamon law’ – which, among other things, created class action lawsuits for consumers. Strategically allied with Montebourg and Valls against Ayrault, he received a major promotion in the first Valls government in April 2014, becoming education minister. He spent most of his 147 days in that ministry putting out fires lit by his predecessor, Vincent Peillon, and his unpopular (or misunderstood) reforms and projects. He was with his on-and-off ally Montebourg at the Fête de la rose in August 2014, and joined in on the criticisms of the government’s economic policy, and was summarily dismissed at the same time as Montebourg. Hamon had his parliamentary seat to fall back on, and in his voting record he immediately became one of the frondeurs, co-signing both of the left-wing non-confidence motions (against the El Khomri law) in May and July 2016. He announced his candidacy in August 2016, with a speech very critical of Hollande, speaking of ‘voluntary impotence’. Initially Hamon ranked poorly in the polls because of lower name recognition and notoriety, but he quickly gained in momentum with a strong campaign. His TV appearances, like on the primetime L’Émission politique on France 2 in December, garnered large audiences while he was judged to have the strongest debate performances of the three main candidates. He stood out from the other candidates by bringing new issues or ideas to the top of the agenda, most notably his landmark universal basic income proposal, and therefore forced the other candidates to position themselves in relation to his ideas. In a way, as a written-off third placed candidate who quickly surged into contention with the two early favourites, Hamon was the Fillon of the PS primary. He started off at around 10% in early December, but climbed quickly to the low 20s in early January, secured second with 29% on January 9-11 and maintained a close second in the two last polls (Jan. 13-16, 16-18) with 27-28% against 34-37% for Valls and 24-26% for Montebourg. Hamon was supported by the other chunk of left-wing frondeurs; in comparison to Montebourg, his supporters tended to have been associated with his old internal faction (Un monde d’avance) – that is, deputies who had always been on the party’s left rather than later converts to it because of frustration with Hollande. His supporters in the primary included Henri Emmanuelli, Alexis Bachelay, Guillaume Balas, Pascal Cherki, Mathieu Hanotin, Barbara Romagnan, Édouard Martin and Philippe Martin. Le Monde counted 25 parliamentarians (besides himself) supporting him. Hamon’s primary platform was firmly left-wing and ecosocialist – ‘red green’. His cornerstone proposal was a universal basic income, to be gradually implemented up to €750 per person. His other ideas included repeal of the El Khomri law, a single tax merging the wealth tax (ISF) and property tax, a broader progressive income tax merging the income tax with the CSG (an unfulfilled Hollande promise of 2012), an organized reduction in working hours (on the principle that jobs lost to digitalization or automatization will not be recreated, so that we will all end up working less), tax harmonization in the EU, hiring 40,000 new teachers and suspending CETA. Hamon was pro-European, but criticized the political direction of the EU and its ‘democratic deficit’, so he called for a moratorium on the EU stability and growth pact, debt relief for EU member states and a democratization of Eurozone governance – in sum, a more conciliatory pro-European tone than Montebourg while still being opposed to EU-imposed austerity policies. In comparison to other candidates in the primary, particularly Valls, he also stood out for his unambiguously pro-refugee positions, which included a humanitarian visa for refugees and abolishing the Dublin rules on asylum. Like most of the other primary candidates, he supported major political and institutional reforms leading to a Sixth Republic and a ‘citizens’ 49.3′. Hamon was the ‘greenest’ of the major candidates, and made the environment one of the major themes of his campaign. His green proposals included 50% of renewable energies by 2025, opposition to diesel fuel, European investments in renewable energies and energy transition, banning pesticides and endocrine disrupters, stopping the Notre-Dame-des-Landes airport project and constitutional recognition of ‘common goods’ (air, soil, water). He was, finally, the most socially liberal/progressive of the major candidates: assisted suicide, marijuana legalization and ARTs. Vincent Peillon was the unexpected late entrant to the primary, announcing his candidacy in December, after Hollande’s non-candidacy was confirmed. Peillon is another longtime politician. Peillon (born 1960) is a former teacher and researcher who has authored a few books about left-wing, socialist and republican political thought (and, more recently, as a budding novelist) – going a bit beyond the standard-fare self-congratulatory manifesto books of French politicians. He has been in politics, with some brief interruptions, for 25 years, starting in 1992 in Henri Emmanuelli’s office and then in the PS national bureau. He was elected deputy in the Somme (3rd constituency, Vimeu) in 1997, but lost his seat in 2002 (47.5% in the runoff) and failed to regain it in 2007 (49.9%). Instead, Peillon was elected to the European Parliament in 2004 (‘Northwest’ Euroconstituency), and reelected in 2009 in another constituency (‘Southeast’); journalists’ appraisals of his work as an MEP suggest he was a lousy absentee MEP in his eight years there (2004-2012). In factional terms, Peillon began on the party’s left – alongside Hamon and Montebourg in the NPS – but moved closer to the party’s centre, first becoming one of Ségolène Royal’s main allies (until he distanced himself from her, increasingly isolated in the party, in 2009) and later joining François Hollande. In the Ayrault government, Peillon was education minister – one of the big portfolios in the government – and quickly became very unpopular, particularly among the main actors in education (teachers and parents), because of his reforms and projects and his very direct style. His most controversial and unpopular reform was the ‘school rhythms reform‘, which extended the school week in primary schools from 4 days to 4.5 days (as it had been before 2008), poorly received by teachers and parents (and local governments) and whose results are mediocre. Paying the price for his poor performance in cabinet, Peillon was fired with the change of government in April 2014, getting the top candidacy in his Southeast euroconstituency in compensation. Reelected to the EP in June 2014, his work there has been just as unremarkable as in the past. Peillon tried to be a bridging candidate between the party’s left and right in the primary campaign, but in the process of trying to do that, nobody noticed him and he failed to stand out from the crowd – or to break his way into the top echelon of candidates (Valls, Montebourg, Hamon). Peillon’s platform lacked any innovative or novel ideas of his own and he largely proposed what others were also proposing (repeal/rewrite of the El Khomri law, constitutional reforms, change in EU economic policies without renegotiating treaties). Peillon’s most prominent supporter was Anne Hidalgo, the PS mayor of Paris who strongly disliked Valls but without being on the party’s left. He was supported by a surprisingly large number of PS parliamentarians (20-odd), including a number of his MEP colleagues, but also people like Patrick Mennucci, George-Pau Langevin, Karine Berger and Alain Vidalies (secretary of state for transport). The three other candidates stood as ‘testimonial candidates’ representing their own PS ‘satellite parties’ – the old PRG with Sylvia Pinel, the UDE divided between François Rugy (PE) and Jean-Luc Bennahmias (FD). In ideological terms, all three minor candidate were on the ‘right’ of the PS galaxy – that is, economically liberal (or supportive of the Hollande-Valls economic policies) but pro-European and progressive/liberal on moral/social issues. Sylvia Pinel is the current president of the Left Radical Party (PRG), the oldest and most important of the PS’ traditional ‘satellite parties’. At 39, she was the youngest candidate (and only woman). Pinel was the local protégé and dauphin of former senator Jean-Michel Baylet, the leader of the PRG for 20 years between 1996 and 2016. Baylet was the archetypal Third/Fourth Republic Radical ‘baron’ – a regional political boss, with a national mandate (in the Senate, the house of regional barons) and local mandate (president of the general council of Tarn-et-Garonne, 1985-2015), who was also the owner of the old regional RadSoc-aligned newspaper (La Dépêche du Midi). Pinel, fresh out of university, worked in Baylet’s office (as chief of staff, 2004-2007) and was elected to the National Assembly in 2007, at the age of 29, in the Tarn-et-Garonne’s 2nd constituency. She did not particularly stand out in her first term in the opposition backbenches, but she was appointed – in representation of her boss’ political group – to the Ayrault government as minister of crafts, commerce and tourism in May 2012. Her restrictive reforms to the legal status of auto-entrepreneurs (a special status for a category of self-employed entrepreneurs created in 2008) won her the enmity of the auto-entrepreneurs’ federation, so in the new Valls government in April 2014 she was quietly shuffled to the housing ministry vacated by Cécile Duflot. As housing minister, Pinel backtracked on the controversial and poorly thought-out aspects of the Duflot housing law and was behind a new tax benefit to support investment in and construction of rental real estate. She left cabinet in February 2016 to focus on her new job as first vice-president of the Occitanie (Languedoc-Roussillon-Midi-Pyrénées) regional council and to become president of the PRG, as Baylet’s anointed successor. At the same time as she left cabinet, Baylet entered the government as minister for regional development, capping his political career. Indeed, Baylet’s ‘system’ in the Tarn-et-Garonne has been exhausted and Baylet was compelled to withdraw from active politics following his unexpected defeat in the 2014 senatorial elections and the PRG’s loss of the Tarn-et-Garonne departmental council in March 2015. In November 2016, Pinel announced her presidential candidacy without going through the PS primary. But a bit over a week later, Pinel backtracked and announced that she would participate in the primary. It is unclear what game the PRG was playing with the huffing and puffing of an independent presidential candidacy without participating in the primaries, but it was most likely its usual way of threatening/blackmailing the PS into getting what it wants (a few constituencies set aside for the legislative elections). In 2011, Baylet had participated in the PS primary as the PRG’s testimonial candidate, standing out a bit with his southern accent and socially liberal positions (decriminalization of marijuana), though he still won only 0.64%. Pinel’s candidacy was supported by her mentor Baylet, the PRG’s two other cabinet ministers (public sector minister Annick Girardin and secretary of state for sports Thierry Braillard) and the PRG’s parliamentary backbone (Annick Girardin). As part of a political alliance with the PRG, her candidacy was also supported by Ecology Generation (Génération écologie, GE), a microscopically small green liberal party (now the shell remnants of a party which was briefly relevant in the early 1990s, led by Brice Lalonde). The PRG’s presidential platform was in line with the party’s traditional political identity – moderately pro-business and economically liberal (lowering corporate taxes, holding the line on public spending), socially liberal (assisted suicide, marijuana, voting rights for foreigners in local elections, ARTs), European federalism (‘economic government of the Eurozone’) and the old RadSoc value of laïcité. François de Rugy stood as the testimonial candidate of th new Ecologist Party, of which he is the president. The PE, as noted above, was formed by dissidents of EELV’s pro-government ‘right’ in 2015. De Rugy, descendant of a noble family, is a career politician. He joined the Greens in 1997, worked in the National Assembly with the party, was elected municipal councillor in Nantes in 2001 and elected to the National Assembly from the Loire-Atlantique’s 1st constituency (northern Nantes/Orvault) in 2007, one of the few Green candidates supported by the PS that year. He was reelected in 2012 and became one of the co-presidents of the green group in the National Assembly with Barbara Pompili – and also a member of EELV’s pro-government faction. He quit the party in August 2015, denouncing EELV’s “leftist drift” and the absence of internal debate, and he was one of the six deputies who quit the green group in May 2016, forcing its dissolution. His candidacy was supported by PE’s cabinet members Emmanuelle Cosse and Barbara Pompili as well as PE’s deputies and senators – ironically, however, Jean-Vincent Placé (PE co-founder, senator and secretary of state) didn’t support his party’s candidate and backed Valls. De Rugy was the self-proclaimed environmentalist/ecologist candidate in the primary (with the rhyming slogan L’écologie c’est de Rugy) with green proposals like 100% of renewable energy in the French electricity grid by 2050 or gradually closing all nuclear power plants; otherwise he generally had proposals in line with Valls/the outgoing government with some added stuff on political reform. Jean-Luc Bennahmias was the colourful variety candidate, standing for his micro-party, the Democratic Front (FD). Bennahmias is a former journalist who has been in politics since the early 2000s, with an original political trajectory. He was a left-wing ‘rebel’ in his youth, but gradually moderated and moved to the centre – though without losing some of his youthful radicalism on some things. A member of the Greens since the party’s creation in 1984, he was elected as a Green MEP in the ‘Southeast’ Euroconstituency in 2004. After the 2007 presidential election, Bennahmias left the Greens and joined François Bayrou’s new centrist MoDem, arguing that the Greens’ catastrophic performance in 2007 had set the party back 30 years. He was reelected to the EP in the ‘Southeast’ in 2009, but as the MoDem list’s top candidate. He had also stood as the MoDem’s mayoral candidate in Marseille in 2008, his lists obtaining 5.5% city-wide and merging with the PS lists for the second round. However, Bennahmias broke with Bayrou after the 2012 election, as Bayrou moved to the right and allied with the UMP/LR and UDI in 2014 and 2015 while Bennahmias remained loyal to François Hollande. Bennahmias effectively quit the MoDem during the 2014 municipal elections, when he supported the PS in Marseille while the party ran in alliance with the UMP-UDI, as elsewhere in France. In June 2014, Bennahmias launched his own micro-party, the aforementioned Democratic Front (FD), a pro-Hollande party seeking to bring EELV’s right back into the Hollande majority. The FD had one deputy: François-Michel Lambert, an ex-EELV (pro-Hollande) deputy from the Bouches-du-Rhône. For inexplicable reasons, the FD and PE remained separate parties though allied within the UDE ‘federation’ – actually, the reason is probably that both FD and PE were led by oversized egos with hilarious delusions of grandeur (e.g. the FD, at its creation, wanted to build an ‘offensive republican front, inspired by the National Council of the Resistance’ and sought to contribute to the creation of a ‘Democratic Party like in the United States’!). Bennahmias was the least well-known candidate with basically no endorsements besides FD’s lone deputy and two minor celebrities (singer Sanseverino and actress Pauline Delpech). He ran to get attention, with an unremarkable platform placing him on the ‘right’ of the primary field (and with the other pro-government candidates). He did, however, get attention because of his colourful and unusual debate performances: he speaks without the political langue de bois (‘wooden language’ – vague, ambiguous, abstract or pompous words) so common in French politicians. Among other things, he forgot something in his platform (claiming that the moderators were making it up), made a very bad joke about Ségolène Royal and – most famously – confirmed that he already smoked weed and insinuated that he still does (‘not only young people smoke weed, some old people – very old people – smoke weed’). His platform proposed to legalize marijuana and sell it in pharmacies. As much as the right’s primary had been a success in terms of turnout, the PS primary was not. It gathered 1.655 million votes in the first round and 2.045 million in the second round: not only did it fall far short of the right’s turnout in November (4.3-4.4 million) but it also had lower turnout than the PS’ 2011 primary (2.6-2.8 million). To make things even worse, the morning after the first round, journalists picked up that, while everybody was sleeping, 352,013 additional votes were added to the results on the PS website reporting the results in real-time (a 28% increase in the previous reported turnout numbers) – and that these new votes were split equally between all candidates, so all candidates had their raw vote totals inflated by 28% so that their percentage share did not vary (except by 0.01% for Pinel). In addition, some odd math was done in the morning with Pinel’s numbers: 31,542 votes (1.97%) became 31,703 votes (1.98%) while all other candidates’ votes stayed exactly the same (at their inflated levels), because there was a 160 vote difference between the reported number of votes and the actual number of votes from adding up all candidates (and percentages added up to 99.99%), but they then fucked that up again, by one vote, so they went back and changed the fake turnout from 1,601,138 to 1,601,139. The PS unconvincingly claimed there was a ‘bug’ in the system (like Mexico’s 1988 se cayó el sistema) or that it was ‘human error’, but nobody seems to believe that. This odd story was never resolved, though the PS was likely honest in its explanation: it wasn’t the final turnout, and was probably incompetence from rushing to update the results (but some things still are weird…). Hamon far outperformed his polling numbers, placing a solid first. Although his strong performance was not a surprise – different pollsters had all shown him in second, although sometimes statistically tied with Montebourg – his first place finish was unexpected, as was his very high first round result (36.5%), which was far above what any pollster had predicted. Like with Fillon in the LR primary, Hamon greatly benefited from having “the big mo” going into the first round. Over the course of the campaign, he became a credible major candidate who was seen as having a solid chance at reaching the second round (against Valls) and possibly defeating Valls in the second round. A lot of left-wing voters in the PS primary went in with the intention of ‘blocking’ Valls. Those voters had two realistic options: Hamon or Montebourg, who differed relatively little ideologically and offered relatively similar left-wing frondeur platforms opposed to the Hollande/Valls record. Initially, Montebourg was supposed to be those voters’ choice to block Valls, but his campaign failed to inspire and he lost ground to Hamon, who ran the strongest campaign. There was substantially less polling done for this primary than the right’s primary, which makes it hard to compare polls to the results, but Hamon significantly outperformed his polling while Valls underperformed (he was pegged at 34% or 37%), as did Montebourg. Montebourg, who had been polling up to 26%, won only 17.8% – a result barely above his 2011 number (17.2%), although because of lower turnout he won only 290,070 votes in 2017 compared to 455,601 in 2011. The other candidates didn’t do too poorly for themselves, considering that they stood no chance and – for most of them – came in with very limited name recognition. Peillon won 6.9% (and 10% in Paris where Anne Hidalgo was supporting him); the non-PS testimonial candidates won 6.9% amongst themselves, with de Rugy leading (3.9%), likely because his ecologist campaign and image was enough to attract random green-ish votes from outside the ‘phone booth’ that his party is. Sylvia Pinel significantly outperformed her mentor, Baylet, who had gotten only 17,000 votes in 2011 – she got 33,000 and 2% of the vote. She even won the tiny archipelago of Saint-Pierre-et-Miquelon, off the coast of Newfoundland, because she was supported by local PRG deputy/minister Annick Girardin (although only 274 votes were cast there!). Bennahmias unsurprisingly finished last. Arnaud Montebourg endorsed Hamon on the night of the primary, which effectively sealed Valls’ fate for the second round. Assuming perfect transfers, Hamon would win with all of Montebourg’s voters even if all other eliminated candidates’ voters went to Valls. The rest of the party’s old left rallied him too: Gérard Filoche and Marie-Noëlle Lienemann. Vincent Peillon did not endorse, nor did his main endorser (Hidalgo), but given Hidalgo’s enmity for Valls, it was pretty obvious that she would therefore implicitly support Hamon by default (she had previously openly said that he liked him a lot, even though she wasn’t on the party’s left). Lille mayor Martine Aubry, who still commands a significant group of cadres within the PS and who had been critical of the government on several controversial points, endorsed Hamon along with the rest of her close supporters (Marylise Lebranchu, Jean-Marc Germain, François Lamy). Only Sylvia Pinel and Jean-Luc Bennahmias endorsed Valls, although de Rugy said he wouldn’t vote for Hamon without endorsing Valls. Hamon won the runoff with 58.7%, a decisive margin. Hamon owed his victory to the participation of non-PS leftists in the primary: PS sympathizers made up 40% of the second round’s electorate (per OpinionWay), 15% were from the radical left or EELV, 15% from the right and centre, 10% from the FN and the rest without partisan ties. In the first round, PS sympathizers actually voted for Valls by 9 points over Hamon – 43% to 34% (Montebourg 14%, Peillon 6%), confirming the general impression that low turnout would help Valls. In the second round, 52% of PS sympathizers voted for Valls, while Hamon won 87% and 90% with radical left and EELV supporters respectively. Interestingly, OpinionWay also suggests that the few right-wingers and far-rightists who participated voted for Hamon (51% and 68% respectively), while Valls won centrists (65%). One of the main social cleavages in the primary was age. The electorate was more balanced in terms of age than it had been in the LR primary (in which 33% of voters were over 65 and nearly 40% were retired), although retirees still made up 30% of the left-wing primary’s electorate (and 21% were over 65). In the second round, Hamon trounced Valls among younger voters (69-31 with the 18-34, 62-38 with the 35-49 and even 60-40 with the 50-64), while Valls won retirees (54-46) and those 65 and over (59-41). Demographically, Hamon did best with young, educated urban middle-classes and bobos. In the first round, Hamon’s best constituency was Paris-6 (56.2%), a solidly leftist seat which covers parts of the 11th and 20th arrondissements (including Belleville) and is pretty bobo (although it isn’t the most bobo); he also did very well in other solidly left-wing parts of eastern Paris – Paris-17 (50%), Paris-15 (48.6%), Paris-16 (46.7%), Paris-18 (47%), Paris-5 (46%). In the solidly leftist and immigrant-heavy Seine-Saint-Denis, his best result, was in Montreuil’s constituency, with about 53% – Montreuil is a socially diverse city, but generally held up as the example of gentrification in Paris’ formerly working-class industrial inner suburbs. In contrast, he didn’t do so well in the Seine-Saint-Denis’ poorer (immigrant) and more ‘distant’ banlieues. On that same note, in the Essonne, despite it being “Valls’ department”, Hamon did well in the ‘research corridor’ around Orsay/Gif-sur-Yvette. Outside Paris, he did very well in the most leftie bobo parts of Lyon, Lille (and Villeneuve d’Ascq), Strasbourg, Bordeaux, Marseille, Toulouse, Montpellier, Nancy, Rouen and Metz (to a lesser extent, in Grenoble, Rennes, Caen and Nantes); he also did pretty well in many but not all middle-sized towns, like Chartres, Tours, Annecy, Chambéry, Avignon, Niort, Angers, Le Havre, Reims, Amiens, Lorient, Saint-Brieuc or Poitiers – but not as well in Pau, Limoges, Chateauroux, Sochaux/Montbéliard, Mulhouse, Le Mans, Laval. He also had a favourite son effect in his Yvelines constituency (55.5%). 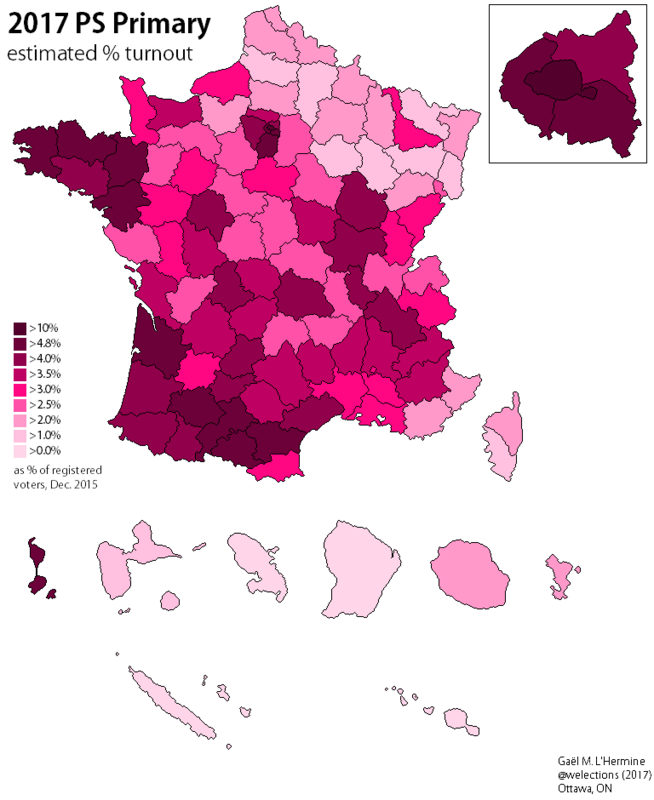 I also hypothesized that Hamon may have had a second, wider but less massive favourite son vote in Brittany, particularly in the Finistère (where he won 46%, his best departmental result): Hamon was born in Saint-Renan outside of Brest, but doesn’t really have any political ties to the region anymore. Still, he did win Brittany by a lot, and not just the urban areas, and this in spite of the regional boss, Jean-Yves Le Drian, being behind Valls. As in 2011, Arnaud Montebourg’s vote had a massive favourite son base: he won 57.9% in his native Saône-et-Loire, a favourite son vote which also spilled over into neighbouring departments like the Nièvre, Ain and Côte-d’Or. The spatial variations in turnout were highly interesting, and very revealing of the PS’ changing electoral base. In the first round, turnout was 3.6% of Dec. 2015 registered voters, compared to over 9% in the LR primary. LR primary turnout beat PS primary turnout in all but two places: Ariège (by about 800 votes) and Saint-Pierre-et-Miquelon (by 185 votes – mind you, it’s 89 votes vs. 274 votes). The highest turnout was in urban departments, specifically Paris (10%), followed by Haute-Garonne (5.8%), Hauts-de-Seine (5.4%), Ille-et-Vilaine (5.3%), Finistère (5.3%) and Loire-Atlantique (5.3%). As well, historically Socialist departments of the Southwest had high turnout (Gers, Ariège, Landes, Aude, Hautes-Pyrénées, Lot, Tarn-et-Garonne: all traditionally rural Socialist or RadSoc departments); as did Brittany. Turnout in the Nord and Pas-de-Calais – two of the most powerful Socialist federations since the early 1900s (or earlier), which have always played a crucial role in internal elections and factional squabbles – was absolutely catastrophic: the Nord had 2.2% turnout and the Pas-de-Calais had 2.1% turnout (and the Nord is an urban department with Lille). 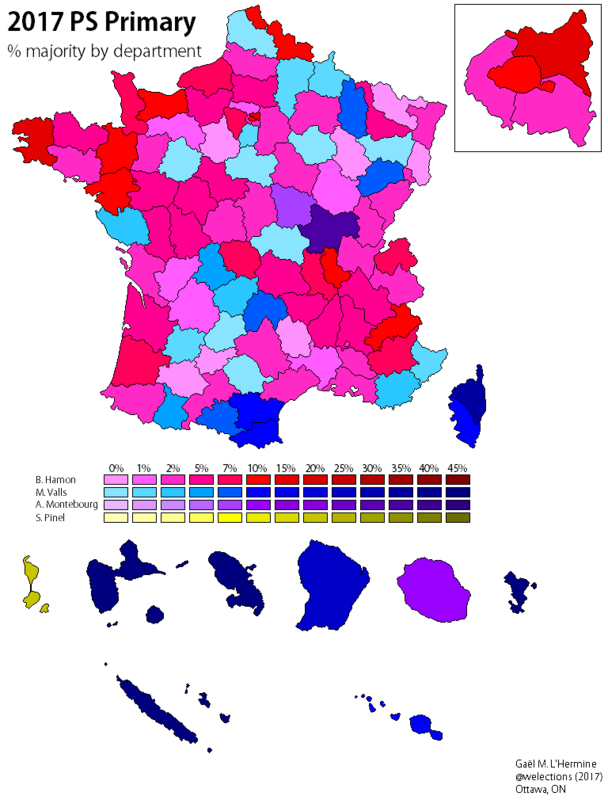 Traditionally right-wing departments like the Var, Haute-Savoie, Yonne, Mayenne, Vendée, Cantal, Maine-et-Loire, Manche, Savoie, Lozère and Aveyron had higher turnout than the Nord (in relative terms); the Alpes-Maritimes, Bas-Rhin, Meuse and Haute-Corse had higher turnout than the Pas-de-Calais (the PS basically does not exist in Haute-Corse). To say nothing of the turnout in the Somme and Aisne: Aisne had the second lowest turnout of any department in metro France. Benoît Hamon’s victory in the PS primary meant that the incumbent (outgoing) President’s party would be represented in the presidential election by a candidate who ran against the main policy achievements of said president. Put otherwise, the PS candidate was a frondeur who had voted against the bulk of the government’s major bills since 2014 and had supported two attempts at tabling motions of no-confidence in this government. The frondeurs had never been a majority of either the PS parliamentary caucus or even the party’s dues-paying membership (as shown by the 2015 PS congress or the overwhelming support for Valls among PS deputies and senators), yet one of theirs became the PS’ presidential candidate. Hamon was supported by 1.18 million voters in the primary’s runoff, but he had been supported by only a third of the party’s most prominent elected officials in the primary. The post-primary situation in the PS was not comparable to the post-primary situation on the right: Fillon may not have been the LR establishment’s first choice, but after his decisive victory, the bulk of LR and even the UDI was united behind him (until Penelopegate), because ideological differences weren’t as big as they were in the PS primary which had a clear pro-government (Valls) and anti-government (Hamon/Montebourg) chasm. In short, the PS primary didn’t resolve the party’s internal divisions nor did it truly unite the party behind its candidate. Nevertheless, in the first polls immediately after the primary, Hamon enjoyed a spurt of momentum: he had been polling only 6-8% prior to the primary in general election matchups, but surged to 15-18% immediately afterwards. Benoît Hamon’s ‘red-green’ platform was very similar to Yannick Jadot and EELV’s platform, and there were no major substantive ideological differences between the two. Jadot was initially reticent about withdrawing from the race in Hamon’s favour, primarily because of the importance of having a stand-alone presidential candidate for small parties in France, though he supported ‘dialogues’ with Hamon and Jean-Luc Mélenchon. On February 14-16, EELV primary voters voted 89.7% in favour of discussions with the other left-wing candidates, with a commitment that they would be consulted again in case an agreement was reached. However, EELV was having difficulties getting the 500 signatures required to run (because of the party’s major seat losses in elections since 2012), and so, to avoid the humiliation of not having enough signatures, Jadot chose to unilaterally drop out of the race on February 23 and join Hamon. In exchange for his withdrawal, Jadot said that he had obtained several important policy commitments from the PS candidate: reserved constituencies for EELV in the legislative elections (like in 2012), the end of the Notre-Dame-des-Landes airport project, phasing out of nuclear energy within 25 years and PR in legislative elections (a cynic would note that EELV had obtained similar ‘commitments’ from Hollande in 2012 and that they didn’t get many if any). Jadot’s decision, taken without consulting the party’s membership, was criticized internally – some even calling it a betrayal or a denial of democracy. Primary voters were only consulted after Jadot’s decision, on February 24-26, and they voted 79.5% in favour of supporting Hamon’s candidacy (but turnout was only 55%). The green movement had no candidate of its own in a presidential election – it had had a candidate in every election since 1974. The PRG also kept its word and (officially) supported Hamon’s candidacy, in exchange for some policy commitments and – more importantly for them – an electoral agreement for reserved constituencies in the legislative elections. Like in the primary, Benoît Hamon’s platform was left-wing and ‘red-green’, unmistakably in opposition to the record of the last five years (however, the platform document or the campaign didn’t explicitly attack Hollande and his governments’ record as much as the other candidates did). Unambiguously progressive, Hamon’s platform and general demeanour sought to restore ‘hope’ and ‘optimism’ to France through said progressive promises. Hamon promised a universal basic income which would be gradually extended over the course of the presidential term. The idea had enthused the base during the primary, but he quickly faced difficult questions about the idea’s costing and logistics – questions which his campaign had difficultly answering clearly, leading to the first missteps and fumbles. Hamon’s platform was only clear about the first steps of what he said would be a gradual implementation. The first stage would be the universalization of the existing ‘active solidarity income’ (RSA) and ‘prime d’activité‘ – basic means-tested welfare benefits for low-income people – which would become a universal and automatic €600 benefit for low-income people, expanded to people over the age of 18 (the current RSA is, with exceptions, only for those over 25). This would be complemented by complimentary income to any employed person earning less than 1.9 times the minimum wage (SMIC), a bit less than €2,200/month. For the rest, Hamon vaguely promised to hold a ‘social conference’ to set the next steps for the ‘progressive generalization’ of the universal basic income and its increase to €750 a month. As Le Monde explained in March, Hamon’s idea fulfilled some conditions of the ‘ideal’ basic income but other points were left unresolved – like universality, individuality, harmonization with other benefits, its costs and its financing. Hamon said that his idea would cost €35 billion, which critics argued was a major underestimate. In addition to the UBI, Hamon promised to increase the minimum wage and other social benefits (like the non-contributory minimum state disability and old age pensions) and expand eligibility for child benefits (from the first child). Among the options considered to finance his UBI, Hamon talked about merging the individual income tax and CSG (which Hollande had promised to do), a new property tax merging the wealth tax and property tax (differentiating between those who inherited property and those forced to indebt themselves to acquire it), a ‘super-profits contribution’ to be paid by banks and a tougher fight against tax evasion and tax havens. One of his proposals elicited a lot of mockery (unfortunately): a tax on robots, which would help pay for a new fund to create jobs compensating those eliminated by automatization. Hamon’s economic proposals were interventionist. To create “tomorrow’s jobs”, he proposed increasing the R&D budget to 3% of GDP and launch a five-year €100 billion investment plan into urban and thermal renovation. Taking up one of Montebourg’s pet issues and primary promises, he said that he would protect domestic industry and the ‘Made in France’ by reserving 50% of public markets to French SMEs while corporations which relocated would need to reimburse public support they received. Hamon’s platform went against two of the major economic policies of the Hollande presidency: the CICE and the labour law. For the CICE, Hamon would demand real commitments by employers in terms of jobs; he promised to ‘repeal and replace’ the El Khomri labour law with a new law negotiated with social partners. The new labour law he proposed kept some of what he judged to be positive points of the El Khomri law: right to disconnect and the personal activity account (incl. rights gained for work under hardship), but with a new focus on reducing working hours and occupational health (recognition of ‘burn-out’ as an occupational disease). The environment was a major theme of Hamon’s campaign. His proposals included 50% of renewable energies in the electricity grid by 2025 (and phasing out of nuclear energy within 25 years), a new plan for energy efficiency (insulation, public transit, clean vehicles), banning endocrine disrupters and ‘proposing alternatives to pesticides’, a 50% bio menu in school cafeterias, ‘greener taxation’ (VAT modulated on the basis of environmental footprint, capping and then removing certain ‘anti-green’ tax benefits, carbon tax), constitutionalization of ‘common goods’ (air, water) and the development of greener transportation options. Hamon’s platform included major institutional reforms, including a new constitution for a Sixth Republic (vaguer on how to get there) which would include proportional representation in legislative elections, term limits (3) and a single non-renewable seven-year presidential term. Otherwise, Hamon’s platform included the creation of a ‘citizen 49.3′ – whereby 1% of registered voters could either submit a bill proposal to Parliament or hold a referendum on a law before its promulgation (under certain conditions, not listed), the recognition of blank/spoiled votes as valid votes (as in Spain, Colombia etc. ), voting rights for non-EU foreigners in local elections, participatory budgeting and a new law to reduce concentration of ownership in the media. Education is usually a major issue for the left. Hamon pledged to limit class sizes to grades 1-3 to 25 student, recruit 40,000 teachers, create a public homework support program for students, continuing education for teachers, improve teachers’ pay and working conditions, increase spending in post-secondary education by €1 billion/year and create 7,500 new jobs in universities and laboratories. Hamon also promised to defend, guarantee and improve public services, another traditional issue for the French left, focusing on ‘medical deserts’ (lack of doctors and inaccessibility of medical care in rural areas) by creating a ‘guarantee’ for universal access to public services (including healthcare) within 30 minutes and ‘priority territories’ for public services. Going with the time and general political consensus, Hamon also promised to hire new policemen and gendarmes (9,000), toughen sentences for terrorism, reinforce security controls to access public places, close places of worship which incite hatred and violence, reinforce intelligence and increase defence spending to 2% of GDP. He also promised to recreate community policing (police de proximité), an idea which has been the subject of eternal political debate since the right abolished it in 2003 (it had been created by the left in 1998). Like in the primary, Hamon had a very socially liberal/progressive platform: he supported legalization of marijuana for personal use, assisted suicide, ratification of the European Charter for Regional or Minority Languages and opening access to ARTs to single women and lesbian couples. On European issues, Hamon warned against xenophobia and nationalist temptations of withdrawal and urged the refoundation of Europe – which he presented as a transparent, more democratic EU which would invest in renewable energies, health, education and IT. As in the primary, Hamon’s main EU plank was a new ‘Eurozone democratization treaty’ which would create a parliamentary assembly of the Eurozone (which would debate its budget and fiscal/social harmonization policies). He supported greater European cooperation on defence, a European tax on financial transactions, the creation of a ‘rule of law mechanism’ binding on EU member-states a revision of the posted workers directive and opposed ratification of CETA and TAFTA. Hamon was critical of some of the other candidates’ ties or conciliatory attitudes towards Vladimir Putin and Donald Trump. His foreign policy was left-wing internationalist, supporting the UN (but silent on NATO), greater international cooperation on issues like climate change, the development of new partnerships with in the Americas and Asia/Pacific and an increase in foreign aid to 0.7% of gross national income. Hamon was pro-refugee, like in the primary, proposing the creation of a European humanitarian visa to support refugees and pledging to support a revision of the Dublin rules on asylum seekers. Hamon’s opponents – beginning with Manuel Valls during the primary – accused him of complacency with Islamists or harbouring a ‘communitarian vision’ of society (differentiation of ethnic, religious etc. communities in society), which is a pejorative notion in a country founded on a rigid notion of a ‘civic’ nation-state and the idea of la République une et indivisible (the republic, one and indivisible). In December 2016, commenting on a TV report on the noted absence of women in a bar in the (Arab/Muslim) immigrant-heavy town of Sevran (Seine-Saint-Denis), Hamon said it owed more to ‘social questions’ than religious ones and warned against presuming that women were absent because of Muslim religious pressure (noting that, historically, there weren’t any more women in workers’ bars; it later turned out that the bar targeted did in fact serve alcohol and didn’t limit access to women). Valls at the time had attacked Hamon’s “ambiguities” about Islamism; an anonymous minister had even said that Hamon was the candidate of the Muslim Brotherhood – a ridiculous claim which was later echoed in certain right-wing and far-right circles.